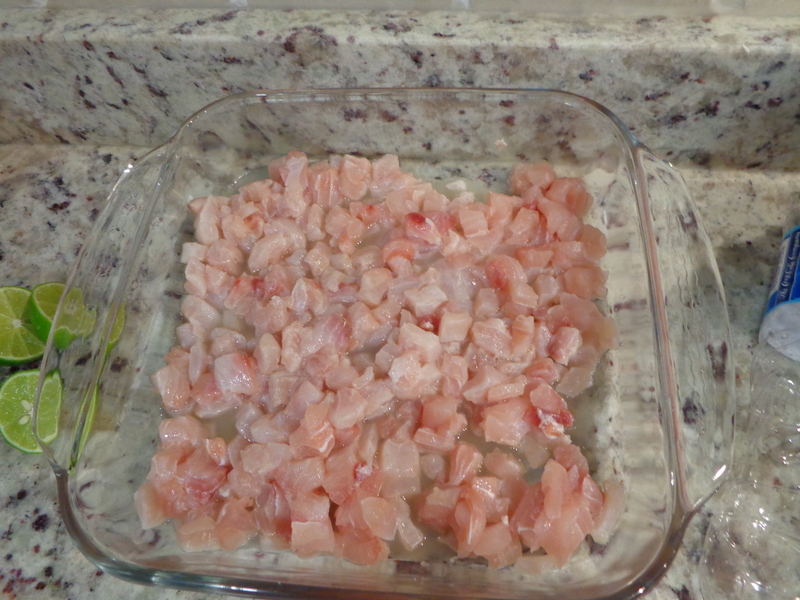 Take diced mahi-mahi and put in bowl. 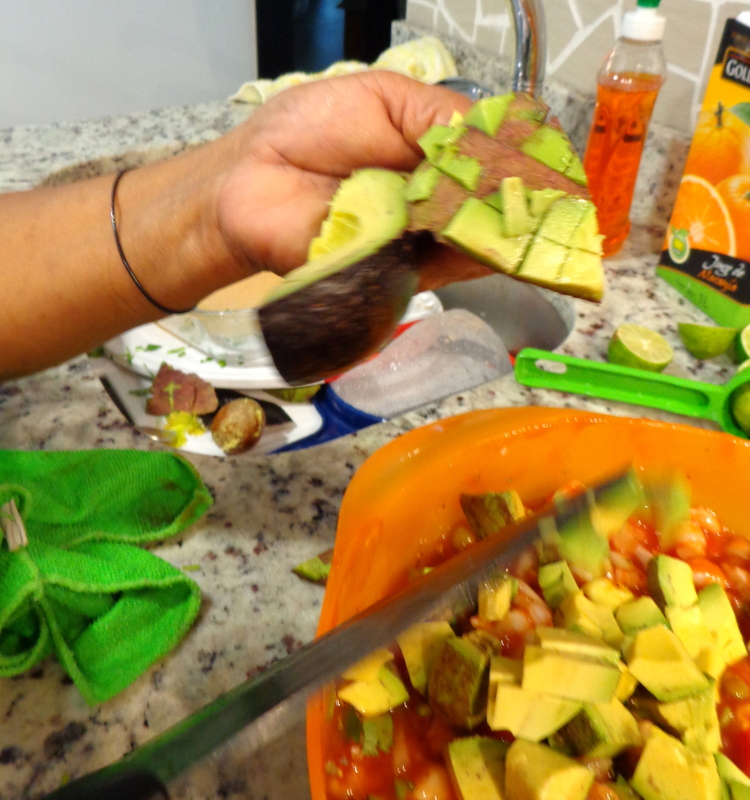 Squeeze 7 of the 10 limes into the bowl and marinade, turning frequently for at least 10 mins. 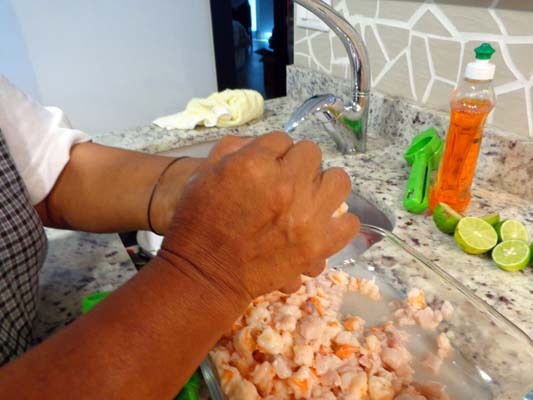 Take the shrimp and put into billing water for 2-3 mins then remove and dice, put into bowl with Mahi and stir and let sit for 5 mins. 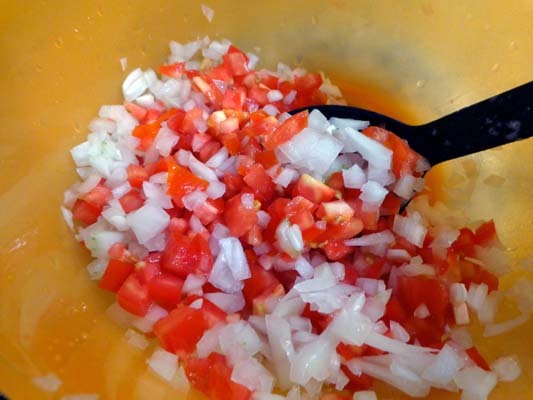 Take the diced tomato & diced onion and toss in bowl. 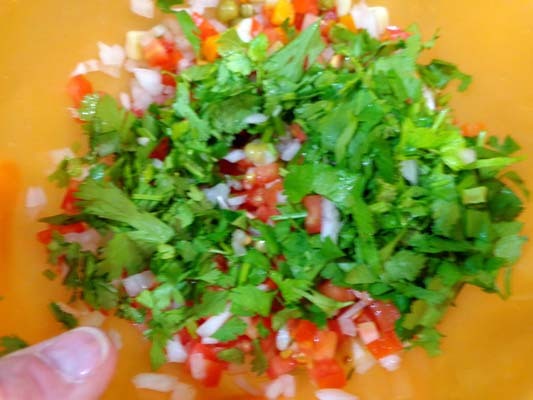 Then add the chopped cilantro. 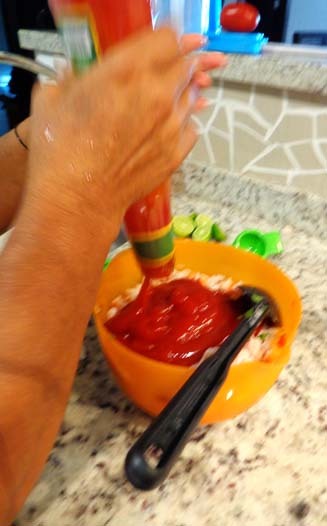 Once that is done, add the bottle of ketchup & then rinse out bottle with 1 cup of OJ and put into mixture, with oregano, S & P and then squeeze the last three limes and the diced avocado Stir it up and taste it. 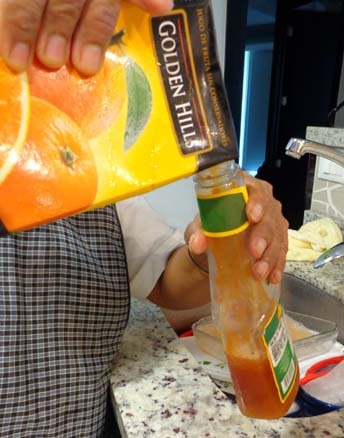 For those who want a little more “kick”, add some picante or hot sauce and then cover with saran wrap and put in the refrigerator for 2-3 hours and then VOILA!!! Serve on a bed of lettuce, or in a cup with crackers…whatever you like!! Best part….it’s even better the 2nd day! ENJOY!!! 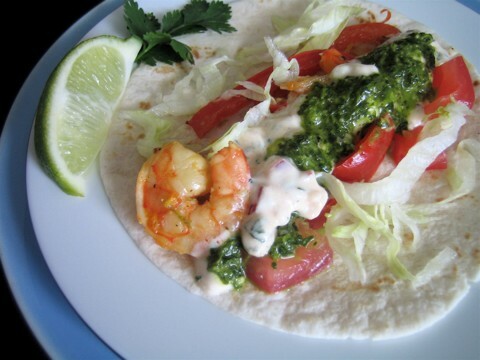 Put it in fridge and in 2-3 hours top it with sprigs of Cilantro and then ENJOY!! 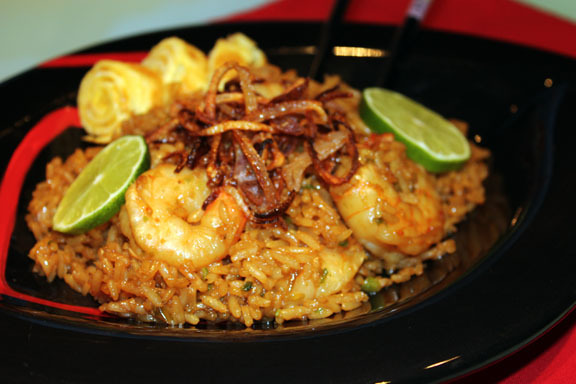 Paella is a Spanish dish of saffron rice and shellfish….to me, it’s like the Chinese version of House Fried Rice. You have your shrimp, chicken, pork, scallops and even some lobster. Then you can add some chorizo or hot italian sausage for spice. Next you add vegies like red or orange peppers, green peas, carrots….whatever brings color to the dish. The possibilities are endless. And then there is the rice…either a short grain Spanish rice or an Aborio rice that you would use in a risotto. 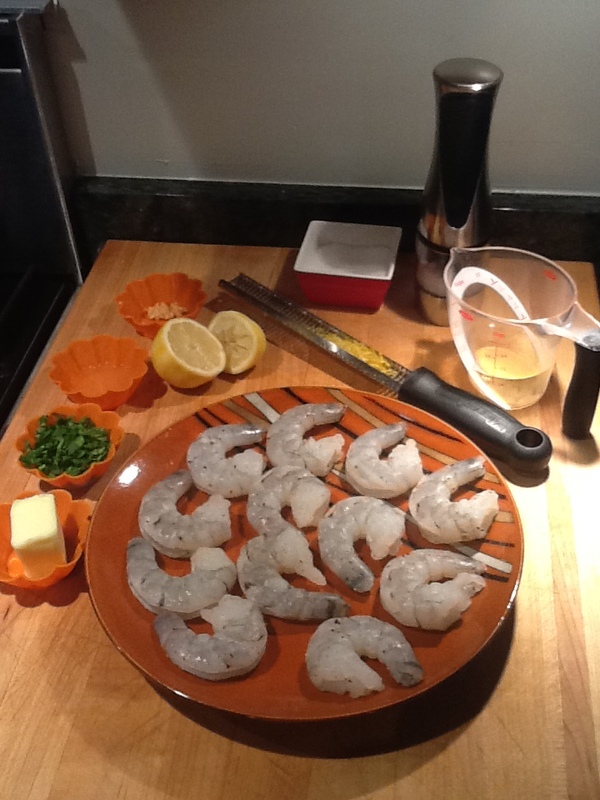 Once all this is gathered, then there is the paella pan that it is all cooked in….and the results are awesome!!! It may seem like a LOT of work, but if you are organized…and have everything all chopped & measured and ready to go…it’s a breeze!!! Now go and get EVERYTHING ….measure, chop & put in dishes so that EVERYTHING is ready to go once you heat up that Paella pan with oil!! 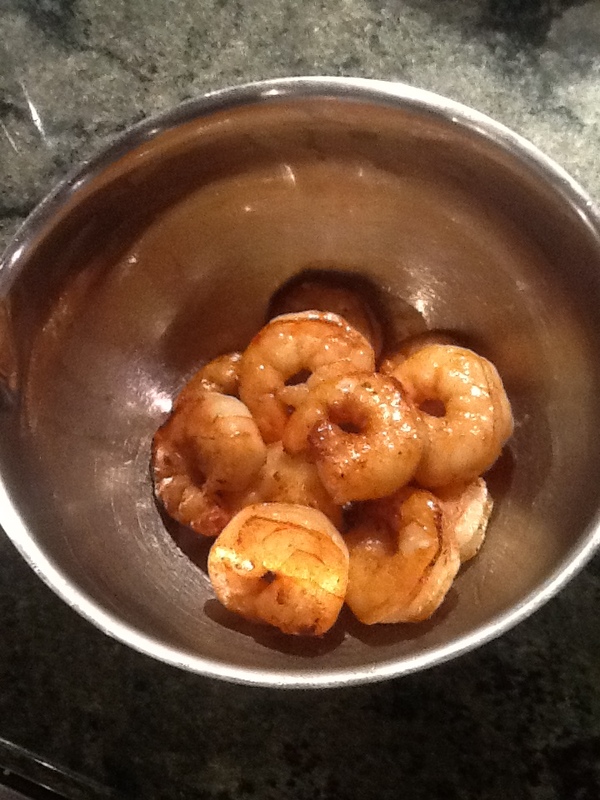 Rub the spice mix all over the chicken and jumbo shrimp and marinate for 1 hour in the refrigerator. 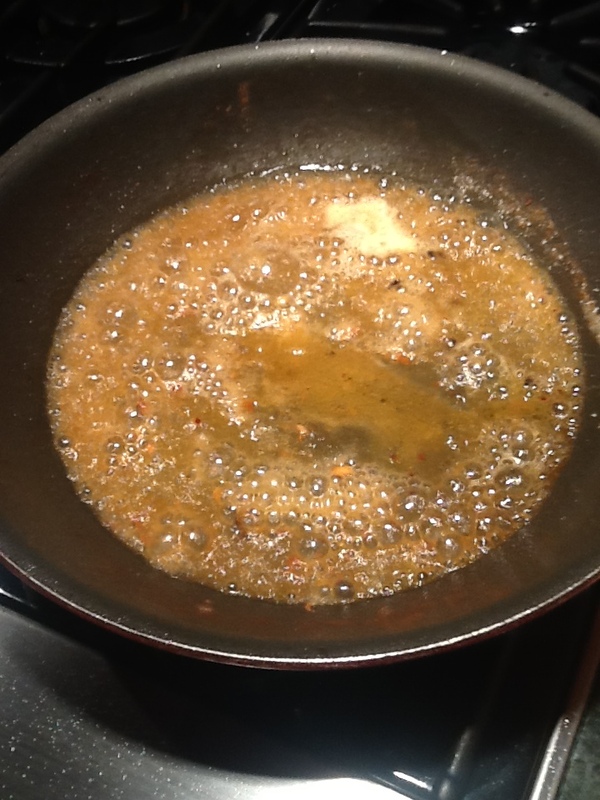 Heat oil in a paella pan over medium-high heat. Saute the Chorizo or Hot Italian Sausage until browned, remove and put aside. Add chicken skin-side down and brown on all sides, turning with tongs. Add salt and freshly ground pepper. Remove from pan and put aside. In the same pan, add some veg oil (2 tbs) and the garlic…then start sauteing the onions, red pepper, carrot, celery, garlic, and parsley( I even added some asparagus that I chopped up) . Cook for 2 or 3 minutes on a medium heat. Then, add tomatoes and cook until the mixture caramelizes a bit and the flavors meld. Fold in the rice and stir-fry to coat the grains. Pour in chicken broth with saffron and simmer for 10 minutes, gently moving the pan around so the rice cooks evenly and absorbs the liquid. Add chicken, chorizo, shrimp. 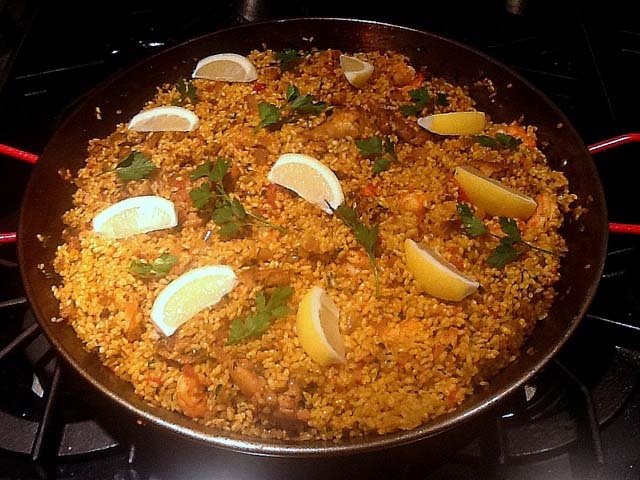 Give the paella a good shake and let it simmer, without stirring, until the rice is al dente, for about 40-45 minutes. When the paella is cooked and the rice looks fluffy and moist, turn the heat up for 40 seconds until you can smell the rice toast at the bottom, then it’s perfect. Cook’s note: The ideal paella has a toasted rice bottom called socarrat. Remove from heat and rest for 5 minutes. Garnish with the thawed peas, parsley and lemon wedges. 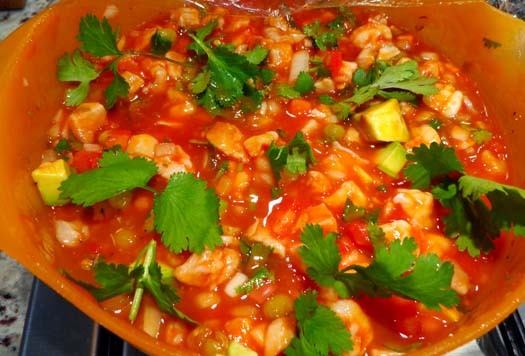 This recipe can feed 8-9 people and takes about 1 hour to cook. Gather all your ingredients, and measure, clean & chop. 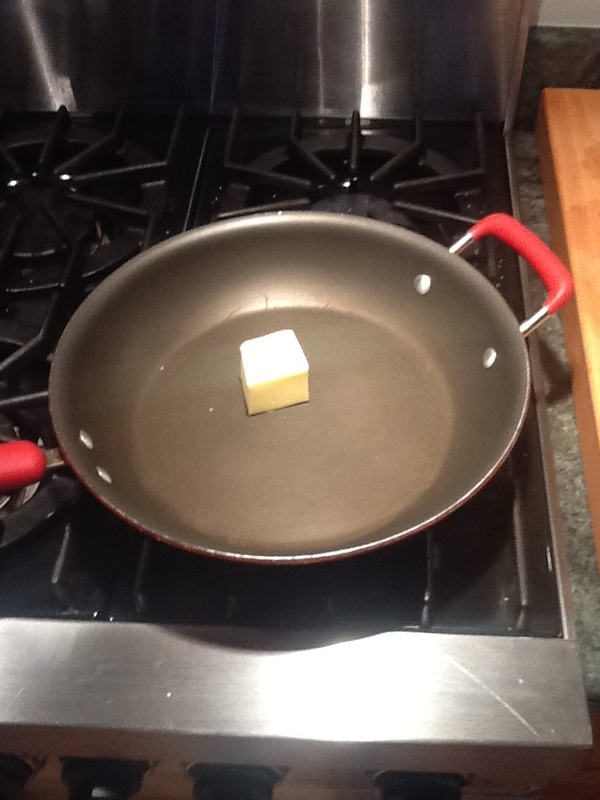 Over a medium heat, add butter to pan. 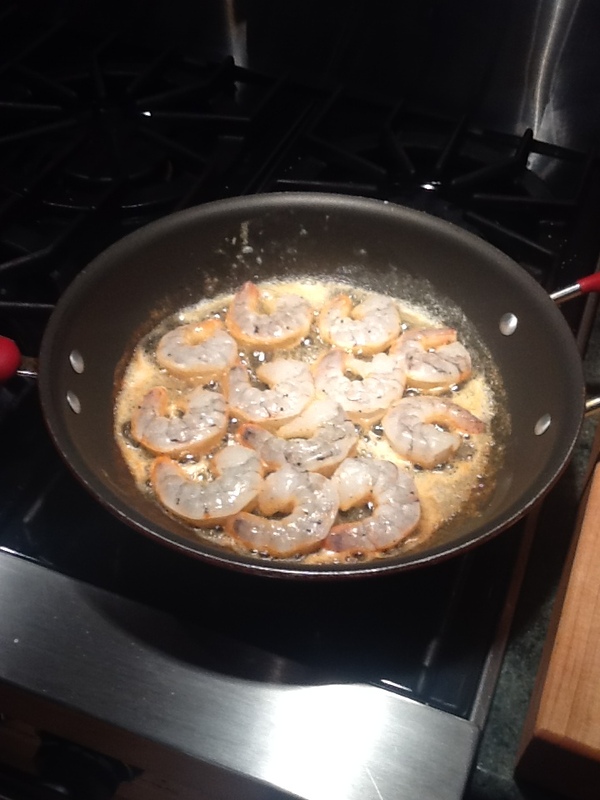 Once foaming butter subsides, turn up the heat and add the shrimp and cook for 1 minute without moving them. Once cooked on both sides, remove from pan and put aside in bowl. Now add to the pan with the butter, the wine and lemon juice and bring to a boil..about 30-40 seconds, scrapping any brown bits stuck to the bottom of the pan. Stir in the lemon zest and parsley. 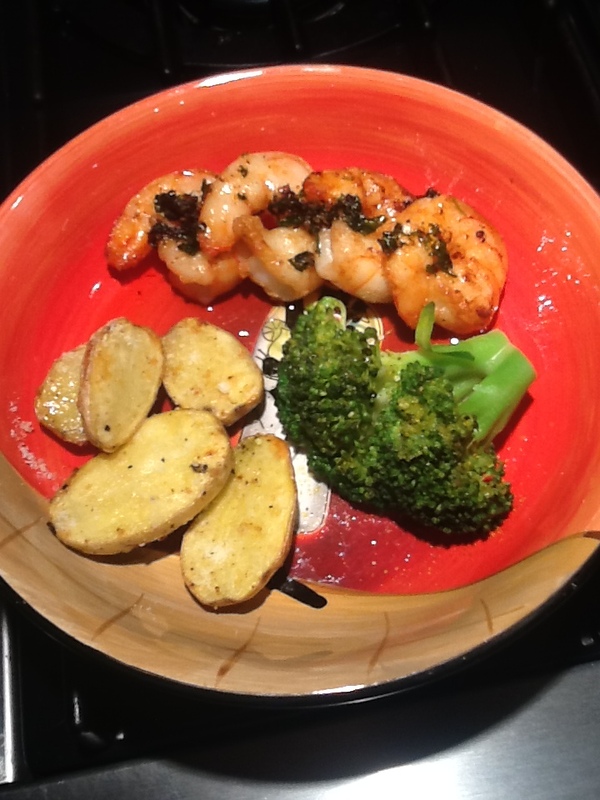 Take the shrimp from the bowl and then spoon the butter mixture on top of the shrimp and then serve with side dishes of choice. This will feed 4 people and take about 30-35 mins to prepare and cook!!! Thank you food network for another delicious recipe!!! Sauté butter, oil & garlic in large pan. 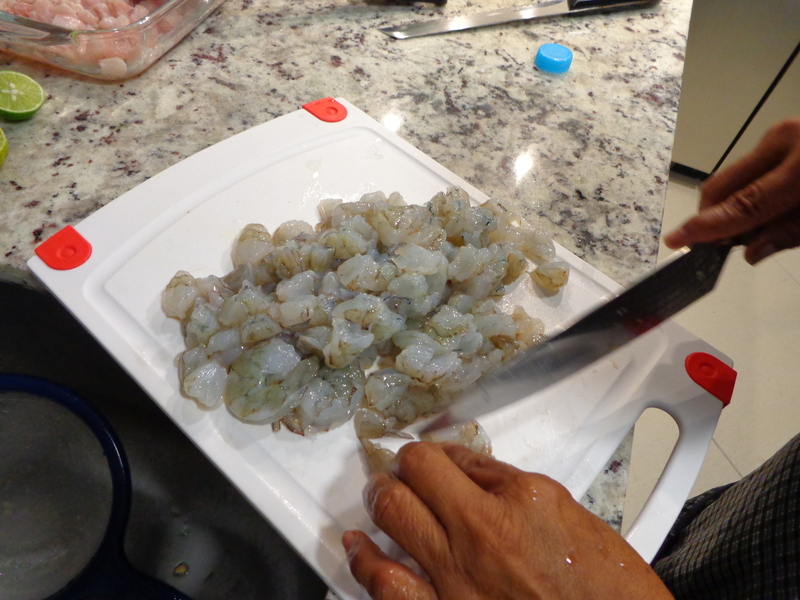 Then add minced red onion followed by chopped shrimp and cook for 5-6 minutes until shrimp is pink. 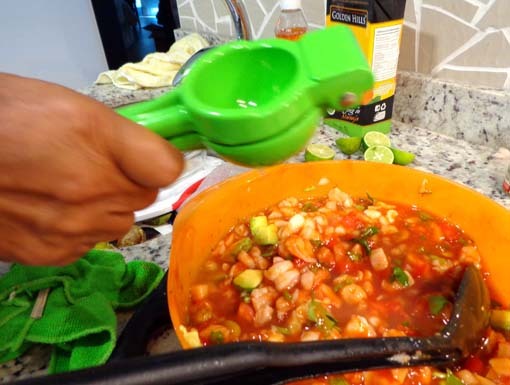 Add Mexican seasoning, continue stirring. Take heated tortillas, put shrimp, followed by cabbage, then avocado, tomatoes and top with chipotle sauce and have plenty of napkins and some nice cold Negra Modelo Beers!!!!!!! You can even add green onions, more cilantro…whatever you have…the choice is all yours!!!!! ENJOY!!! Published May 1, 2011. From Cook’s Illustrated. What you need to do!!!! Read the recipe…NOW READ IT AGAIN and then go gather ALL your ingredients at once and cut, measure, peel…whatever. I have put them in groups so you are ready to go! Pulse chiles, 4 shallots, and garlic in food processor until coarse paste is formed, about fifteen 1- second pulses, scraping down sides of bowl as necessary. Transfer mixture to small bowl and set aside. In second small bowl, stir together brown sugar, molasses, soy sauce, fish sauce, and 1¼ teaspoons salt. 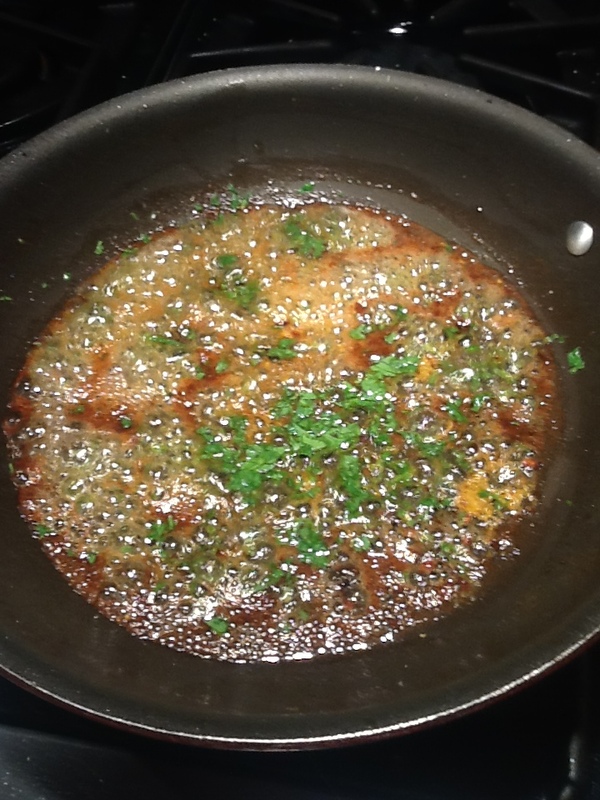 Thinly slice remaining 3 shallots and place in 12-inch nonstick skillet with oil. Fry over medium heat, stirring constantly, until shallots are golden and crisp, 6 to 10 minutes. Using slotted spoon, transfer shallots to paper towel–lined plate and season with salt to taste. Pour off oil and reserve. Wipe out skillet with paper towels. Heat 1 teaspoon reserved oil in now-empty skillet over medium heat until shimmering. Add half of eggs to skillet, gently tilting pan to evenly coat bottom. Cover and cook until bottom of omelet is spotty golden brown and top is just set, about 1½ minutes. Slide omelet onto cutting board and gently roll up into tight log. Using sharp knife, cut log crosswise into 1-inch segments (leaving segments rolled). Repeat with another teaspoon reserved oil and remaining egg. Remove rice from refrigerator and break up any large clumps with fingers. 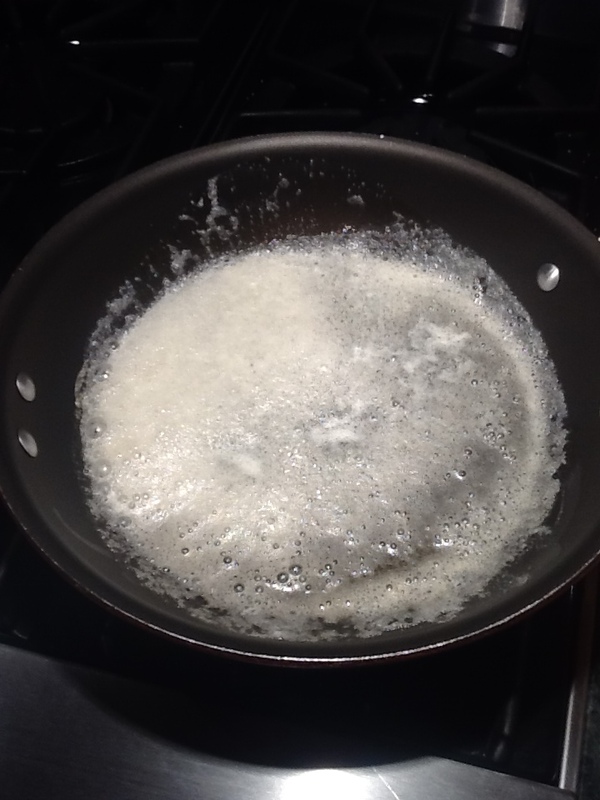 Heat 3 tablespoons reserved oil in now-empty skillet over medium heat until just shimmering. Add chile mixture and cook until mixture turns golden, 3 to 5 minutes. Add chopped shrimp, increase heat to medium-high, and cook, stirring constantly, until exterior of shrimp is just opaque, about 2 minutes. 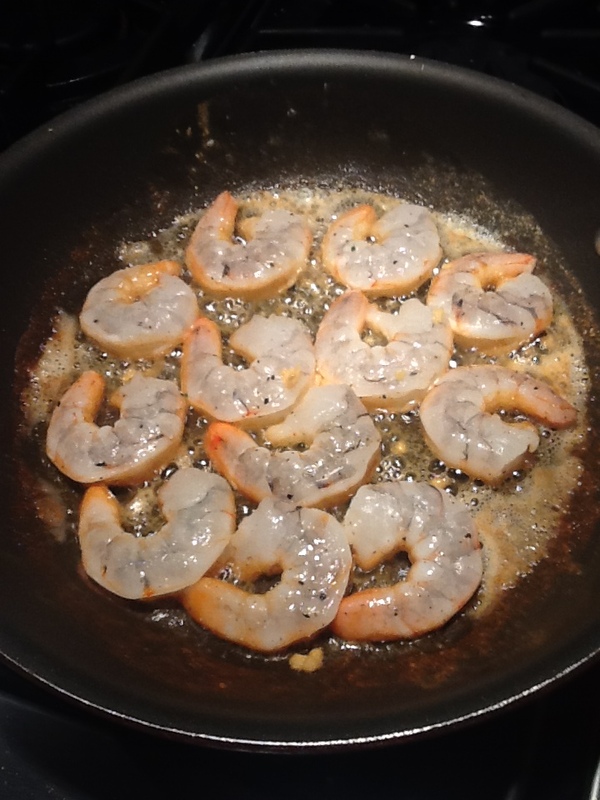 Push shrimp to sides of skillet to clear center; stir molasses mixture to recombine and pour into center of skillet. 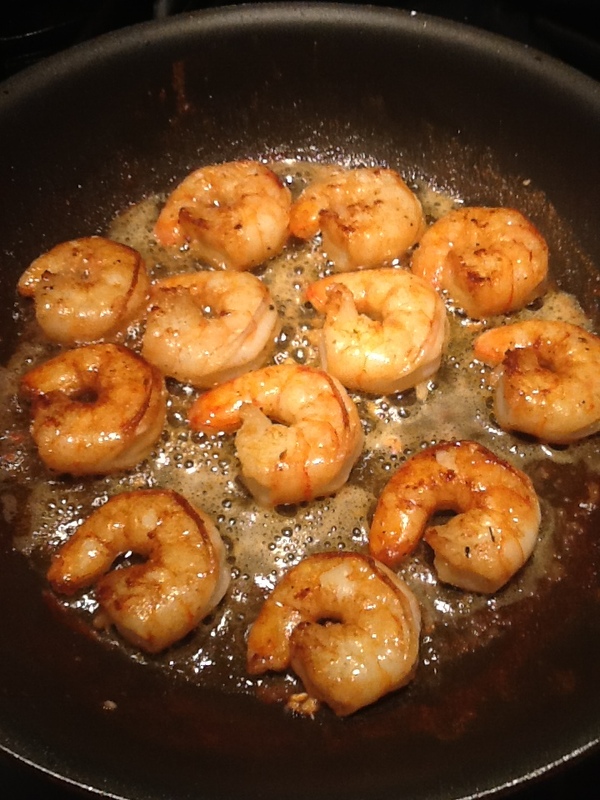 When molasses mixture bubbles, add rice and cook, stirring and folding constantly, until shrimp is cooked, rice is heated through, and mixture is evenly coated, about 3 minutes. Stir in scallions, remove from heat, and transfer to serving platter. Garnish with egg segments, fried shallots, and lime wedges; serve immediately.